Amazon’s spat with Sony appears to be rumbling on, as for the second time this year, PlayStation Network credit is unavailable at the popular online retailer. This includes all denominations of the virtual currency, although the issue appears to be limited to the United States branch for now; you can buy wallet top-ups in the UK just fine at the time of typing. The last time this occurred, the issue was resolved swiftly, although there’s clearly still a problem with PlayStation products on the American site. For example, Spider-Man – one of the PlayStation 4’s biggest upcoming exclusives – can’t be pre-ordered. Meanwhile, PlayStation Plus codes can only be purchased from third-party sellers. We’ve requested comment on this from Sony several times now, but we’re still yet to hear anything back. 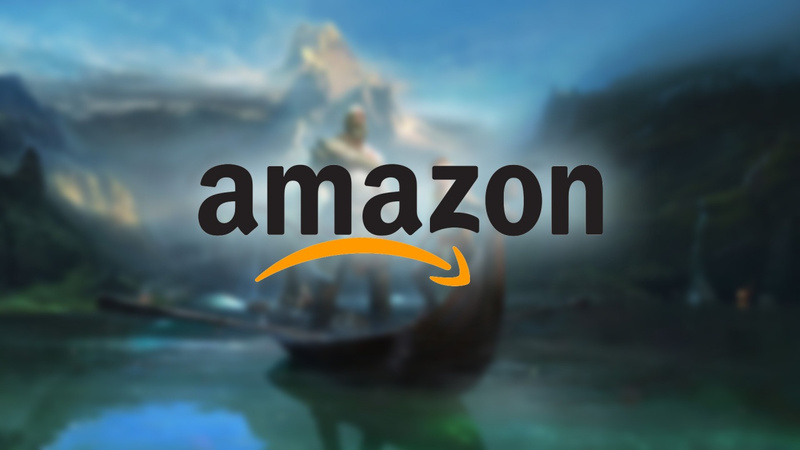 Clearly this is an ongoing issue that needs to be resolved, because while other retailers are unaffected, Amazon is a very popular choice for video game purchases. We’ll update when PSN credit becomes available again – if, of course, the problem is even resolved. I think too much gets read into this. No doubt it's just an occasional technical issue. I tried to order something unrelated to gaming a few months back; it said one left in stock, I ordered, the order was accepted, but cancelled as unavailable the next day. I checked the listing and it still said one available, so I ordered again, and the same thing happened. More than likely it's an Amazon issue rather than anything significant to do with the "relationship". @FullbringIchigo Okay I thought it was clear I was talking about US only, but I've updated to make it a bit more obvious. I'm so glad I'm paying $120 a year for such reliable service. @Paranoimia I have been a proponent of "Amazon is having some IT issues" since it happened the first time. @Paranoimia This has been going on since about April, with every Sony first party game. It's definitely not a technical issue, or a stock one for that matter. I pre-order my games on Amazon, and have for awhile, I've been checking Amazon weekly and things have been the same. Oh no! It might be slightly inconvenient to give multi-billion dollar corporations more of our money! Heaven forfend! It's got to be more than an IT issue, this has been going on for ages. Maybe it’s a monetary dispute. I was able to purchase a $100 PSN card from Amazon about 45 days ago and Amazon was only charging $94.99 for it. It’s not huge, but 5% saved is still an extra $5 in my wallet. @lacerz My guess is that Amazon want a volume discount and Sony are saying no. I hope this problem will be resolved since I want to buy $40 psplus when it's discounted on black friday. This will only hurt amazon though, since people will just buy psn card or ps4 games on other shop rather than not buying it. The silliness is just costing Amazon money. When i couldnt buy god of war or spiderman, i ordered them from one of the other bazillion online retailers. Clearly Amazon are just being greedy and want a bigger cut per sale made. Spiderman is not available for pre-order on Amazon in the US but a dozen other PS4 games are. The fact that Spiderman says "by Sony" under it and the rest have a by different company, Square Enix, Bethedsa, Capcom, Ubisoft, Activision, whoever, does make it look like a Sony specific issue, not a PS4 issue. Also just a friendly reminder, no 20% Prime discount on Spryo Reignited. Wonder if it has anything to do with the PSN issues that have been going on for a few hours. They really want a war. PlayStation Nation and Sony Defense Force is ready to engage anytime. I've been shopping with Best Buy online more lately with Amazon tripping. It may not hurt them this late in the gen but screwing around with Amazon is playing with fire and Sony will get burned. Another example of the new regime acting completely idiotic. @DLB3 Yeah, I've been ordering a lot of games on Amazon since they started doing the 20% discount on pre-orders for Prime members and this is the first time I've ever not been able to pre-order something. It's not just effecting Sony first-party games though, I noticed that Red Dead Redemption 2 and Biomutant can't be pre-ordered for PS4 or Xbone. A weird thing to be sure, but apparently not just a Sony thing. @Donald_M Ah I see I've been checking for Spider-Man regularly since that's the next game I'm buying. I checked Red Dead a few months ago and it was avaliable, but I see now it's not. Don't know what the deal is, but I hope it gets sorted, it's an annoying inconvenience. Unpopular opinion here, but I HATE Amazon. Horrible company! I haven't bought anything from them in years. That's a shame, hopefully the issue is resolved soon.